2017 was a big year for me... I graduated with my first degree! 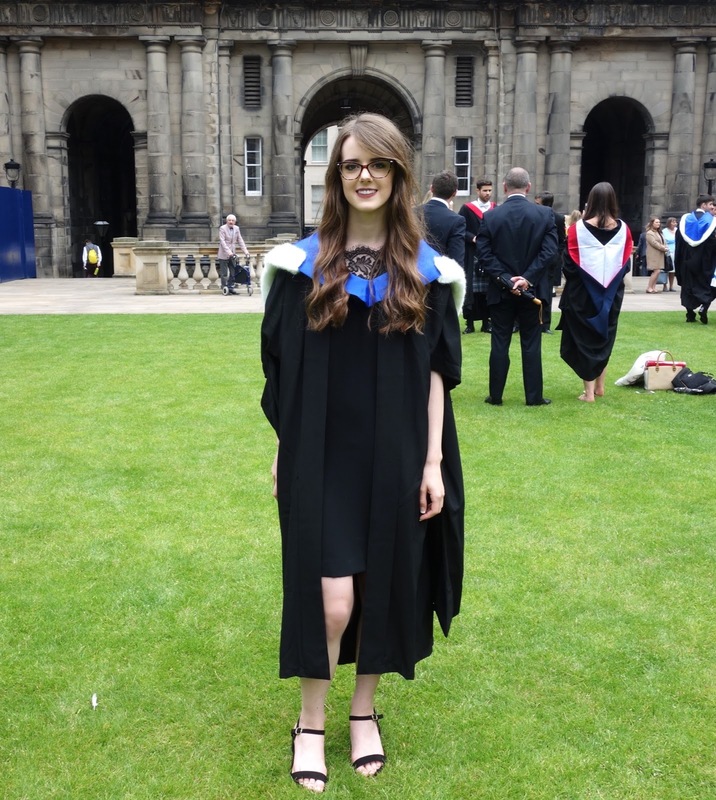 On Thursday the 6th of July, I graduated in McEwan Hall where I received my diploma for an LLB honours degree in Law from the University of Edinburgh. After four years of hard work, a lot of ups and a few downs along the way, I finally felt as though those late nights and tiresome days in the library finally paid off. 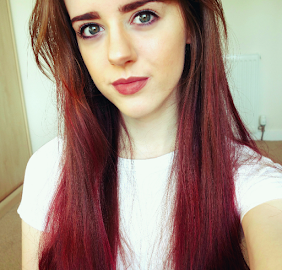 The start of 2017 consisted of essay writing as the two full-year modules I had chosen for 4th year consisted of an essay submission in January and the final exam in May. After submitting 12,000 words in January, this was definitely a practise run for what was to come in the final push to write my dissertation, due at the end of March. I chose to write my undergraduate dissertation on the EU Counter-terrorism Strategy, assessing its impact and the legal issues posed by it. It was a bit of a risk to take as I had previously taken a criminology module in terrorism, international policing and EU law, but nothing specifically relating to EU security policies. Regardless, I really enjoyed writing my dissertation and I believe it really helped me with my Masters degree applications as my topic was directly relevant to the Masters subject area. If you have a particular field of interest for further studies, I would definitely recommend writing your dissertation on that topic, if its possible to do so! After a wave of stress wondering if I was even going to graduate (see the following newspaper article), I graduated on the 6th of July 2017. I was incredibly nervous the evening and morning before, although I already received my grades and my dress and robe was all ready to go. Half of me was excited to have reached the end, but it also saddened me that it was the last time I would be together with all of my teachers and classmates that brought my through the previous four years of my life. 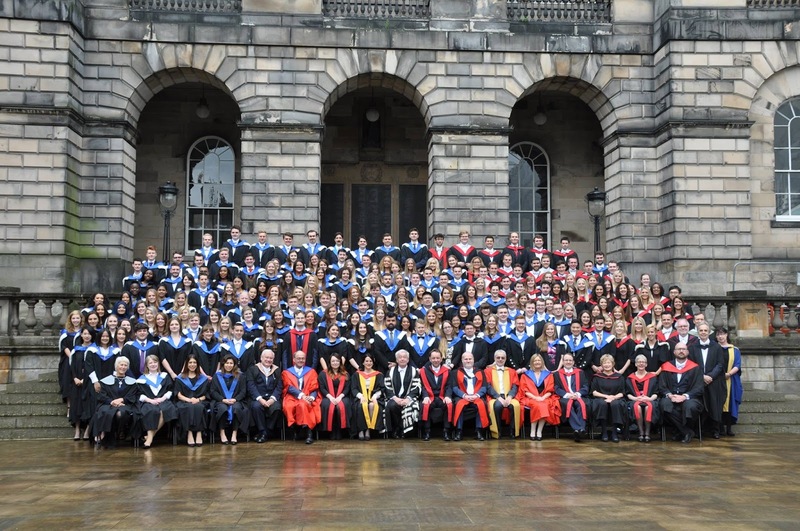 We gathered for a group photo at the law school, Old College, before we headed into the McEwan hall for the graduation ceremony. Unfortunately Old College was under major renovation works during the final two years of my degree, so we didn't get to take advantage of walking through its grounds and having classes there, so it was nice to reflect on the first two years of University and be there for a final group photo. 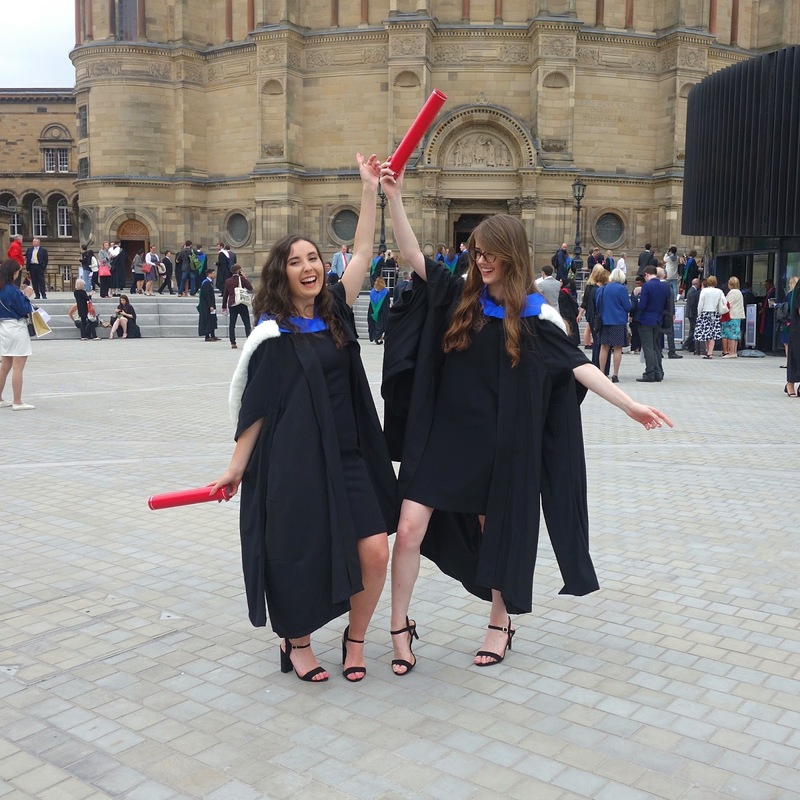 To my year's surprise, McEwan Hall had completed its renovations in time for our graduation ceremony. The 2016 graduations had taken place in the Usher Hall, as the original graduation hall was still under renovation works. 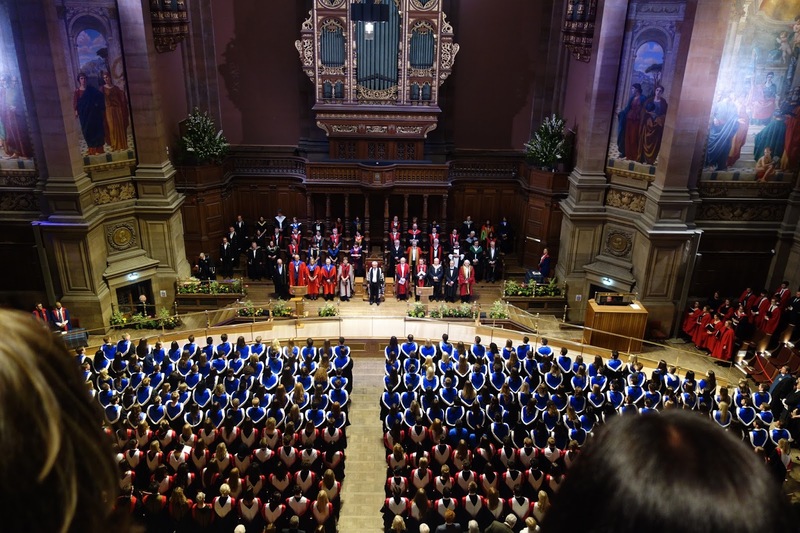 The refurbished McEwan hall was really stunning and it added something special to our graduation ceremony. We had endured a torturous delict exam in the hall during our studies and I remember being distracted by McEwan Hall's stunning architecture and the art displayed on the walls and ceiling during that time. We were called to collect our diplomas in alphabetic order by surname, depending on our degree titles. After the graduation ceremony, we were given a couple of hours to take photos and head over to Potterrow to have our professional graduation photos taken. Unfortunately, I spent the majority of that period queueing to get my photo taken, which was a little bit frustrating. I didn't manage to catch up with my classmates as originally planned, but I did manage to get some photos in amidst running around campus! 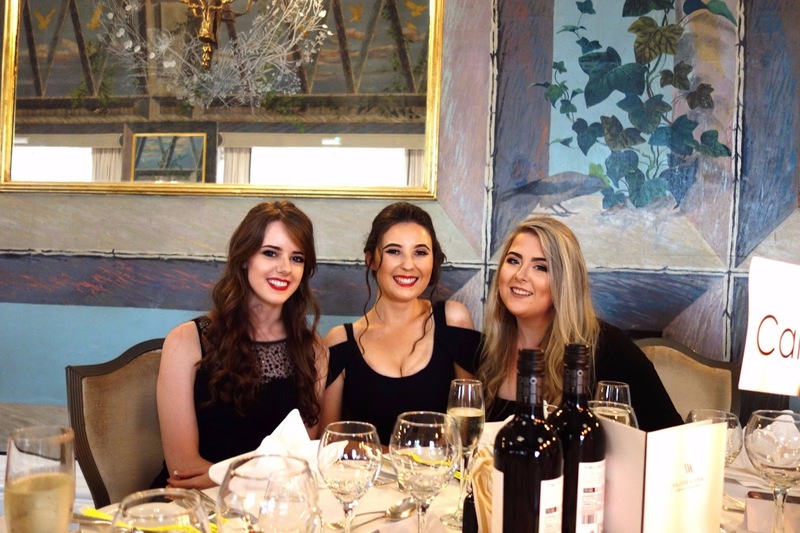 That afternoon, my Mum and sister treated me to afternoon tea and the whirlwind of a day meant for a weekend of recovery before the graduation ball the following Monday. 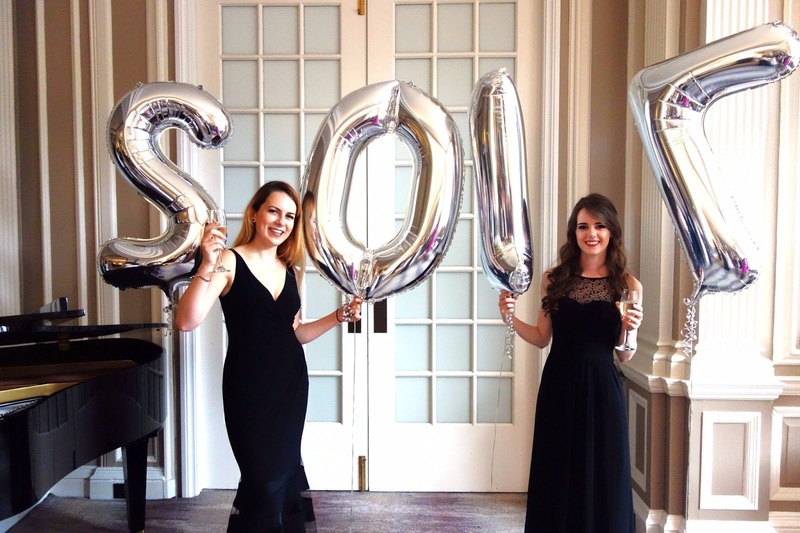 We had our law graduation ball at the Caledonian Hotel in Edinburgh's city centre. 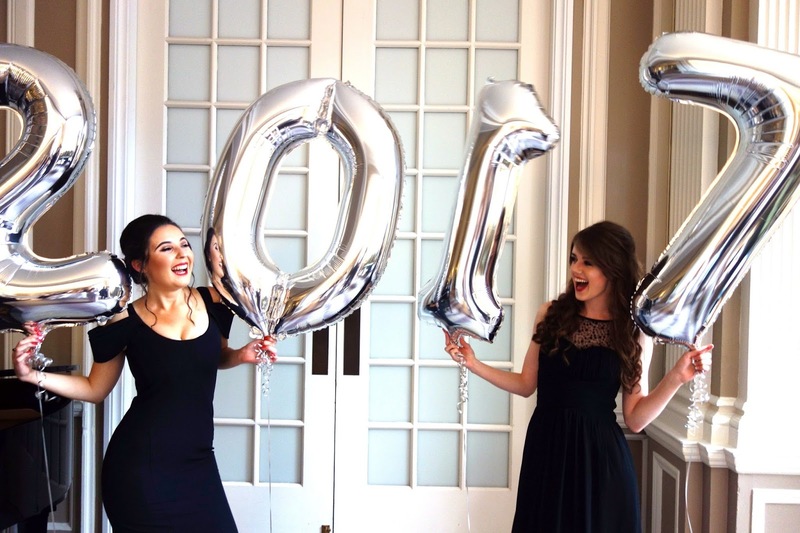 My friend and I arrived a bit too early, but had fun taking photos with the 2017 balloons the law society had displayed in the reception area (including me posing with the 7 the wrong way around - nice one Alix). 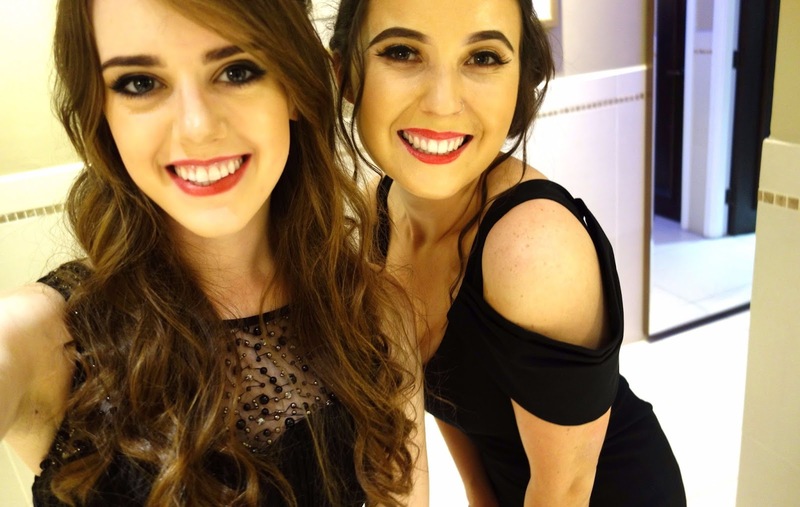 We had a lovely three course dinner followed by a ceilidh and disco. The law society hired out Shanghai nightclub on George Street for the after party, which lacked much of an atmosphere as only a few dozen of us turned up to an empty nightclub! Nevertheless, it was a good night and nice to catch up with some classmates before we headed our separate academic/employment ways. Over the Summer I applied for various Masters degree programmes in the area of International Security, with offers from the University of Bath, Queens Belfast, Dundee, Buckingham, Nottingham and St. Andrews. I wasn't entirely sure which direction I wanted to go in, whether to steer in the route of political science, a more historical approach or continue my legal studies with an LLM. During August, I decided the political science route wasn't for me and I believed the knowledge I gained from my law degree would help me perform well in a different degree area, instead of pursuing it further. After studying political theories in EU and social policy courses throughout my undergraduate degree, I decided to reject my offers in International Security from the majority of Universities I applied for. I found the MLitt programme in Terrorism & Political Violence in St. Andrews to be best suited to my interests. 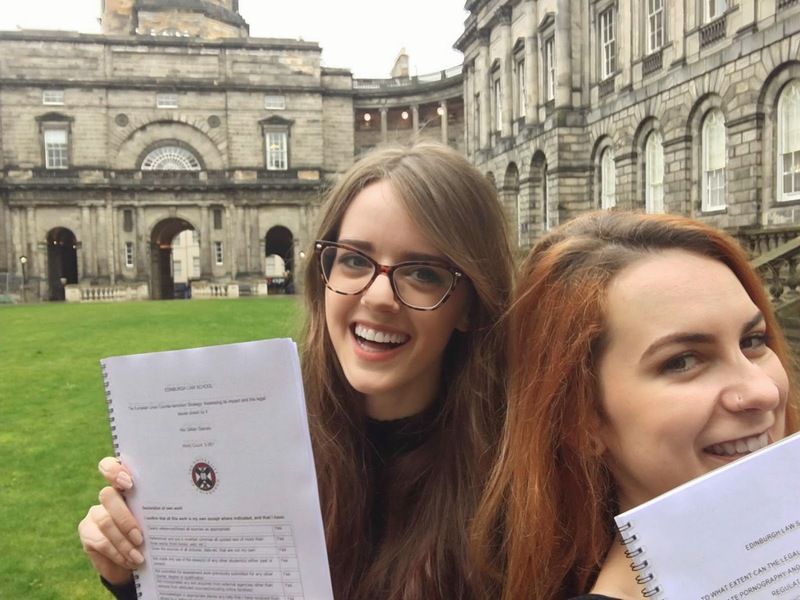 Originally I was looking for a degree in International Security with a heavy focus on terrorism and I found St. Andrews provided that as well as a historical, political and psychological approach to the subject, with an opportunity for me to apply my legal skills in the array of modules offered. For now, I am enjoying postgraduate life in the seaside town of St. Andrews. Living here is definitely a shift from the face-paced life I had in Edinburgh, however, I couldn't have asked for a better place of tranquility when I should be focusing on my studies and career the most. 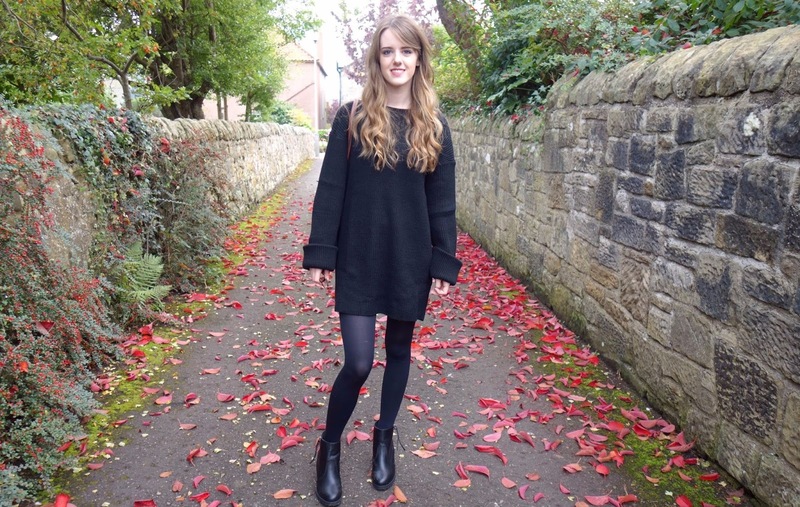 I will go into a lot more detail about postgraduate life and St. Andrews in another blog post, but for now, here's to 2018 and another year of success and happiness!